The Printing Charity is making a final call for entries to this year’s Print Futures Awards, which are open to UK residents aged 18 to 30 years. The Awards are grants of up to £1,500 each to help pay for training for careers in printing, paper, publishing, packaging, and graphic arts or to develop workplace skills in those sectors. Applications are invited from people who intend or are studying, people already working in the industry looking to progress their careers, and apprentices and those studying for NVQs in print-related organisations. The closing date for applications is 11.59 p.m. on 29 April 2018. Please see https://www.theprintingcharity.org.uk/print-futures-awards/ for more information and to complete the online application form. Shortlisted applicants will be interviewed in London in early June by a panel of judges drawn from across the industry sectors and winners will receive their Awards in London in July. We are saddened to hear that Baroness Dean has passed away and extend our deepest sympathy to her family. 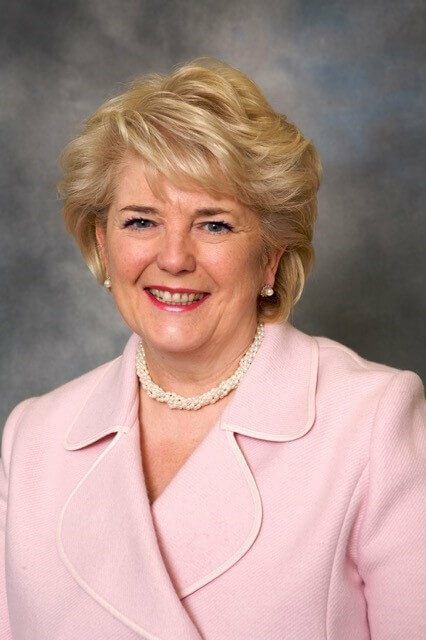 Baroness Dean started her working life in the Trade Union movement and was subsequently elected General Secretary of the Society of Graphical and Allied Trades (SOGAT), the printing, publishing and paper trades’ union. She was created a life Peer in 1993 and a member of the Privy Council in 1998. A tremendous supporter of The Printing Charity, she said she was proud to be our 2017 President, continuing her association with the industry. We will remember Baroness Dean as an inspirational advocate of the printing industry and a true friend of the charity. The Printing Charity’s Annual General meeting is to be held at St Bride Foundation, Bride Lane, Fleet Street, London, EC4Y 8EQ on Tuesday 12th June at 3 P.M.
For more information, please contact lucy@theprintingcharity.org.uk or call 01293 542820. Students looking to undertake the BPIF MSc in Management can apply to have a significant amount of their fees paid, thanks to a £6000 bursary from The Stationers’ Foundation, funded by The Printing Charity. The Foundation, which forms the charitable arm of The Stationers’ Company, are offering the Postgraduate Bursary Scheme to either a single student or to be shared between several students for whom funding would be a barrier. The Stationers’ Company, which has a 600 year history of promoting, regulating and protecting those in the paper, print, publishing, packaging, office products, newspaper, broadcasting and online media industries, makes charitable giving to education a large part of its work. In conjunction with its industry partners it offers up to 15 bursaries a year and mentoring to students on specific courses that support entry to and progression within these sectors. The Printing Charity have been helping people of all ages working in printing, publishing and packaging since 1827. Their origins were – and remain in – welfare, but over the years their work has grown to include support for education and training. Their education funding now benefits almost 500 individuals a year. The MSc, run in partnership with the Management Development Centre, is aimed at those in print with at least 5 years’ experience in a management role, or with full membership of a professional institute wanting to take their leadership skills to the next level. As the natural next step after undertaking the BPIF Level 5 Leadership and Management Course, it usually costs £6280 + VAT to complete. The course, which can be completed in as little as twelve months if students are full members of a professional institute, is a fast-track top up Masters designed to provide minimal disruption to the working week. Alongside a dissertation and two residential weekends a year, students are supported through the MDC’s online support group. The funding, which also considers the academic potential of applicants, is available for the academic year starting in October 2018. The closing date for applications is 24 May 2018, so applications should be made as soon as possible. 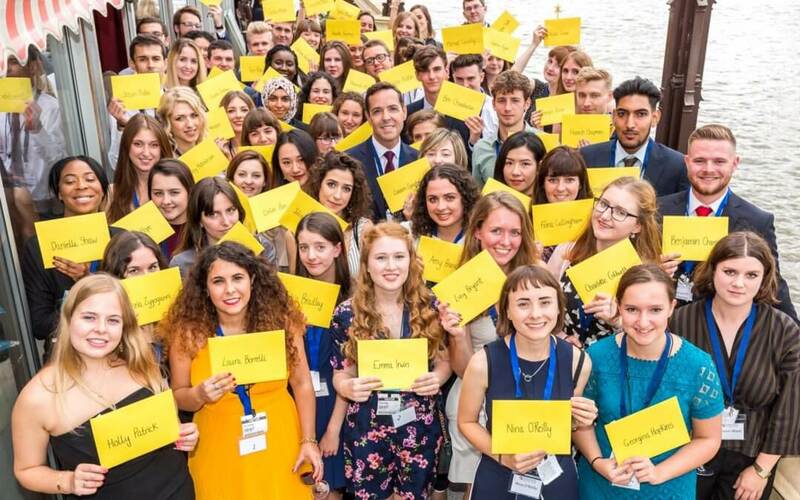 Applicants who are shortlisted will then be interviewed at Stationers’ Hall, London. Successful recipients of the funding will also have the opportunity to be mentored by an appropriate Stationers’ Company member. The industry has come together and achieved a great result. Over the past few years, plenty of time and effort has been dedicated to the Print Trailblazer – a new employer-defined standard for apprenticeship programmes – and these standards have now been approved by the Government. The Print Trailblazer proposal was first submitted to the Government in July 2014 but was unfortunately unsuccessful. However, feedback confirmed that it was a strong proposal which was clearly employer-led. Continued lobbying for Government support of apprenticeships resulted in a resubmission in February 2015 where James Buffoni of Ryedale Group and the Chair of the consortium lead a group of print employers and leading sector organisations, including the BPIF, in designing the new Print Apprenticeship Standards for Pre-Press Operator, Press Operator and Post-Press Operator. By November 2016, Trailblazer standards for Level 3 and level 5 were approved and were launched by the BPIF in early 2017. However, challenges were again thrown in the direction of the Print Trailblazer Consortium and in February 2017 a call for support was made to the industry in order to help ensure single standard apprenticeships did not reduce levels of expertise in the industry. Throughout 2017, the Trailblazer Consortium, whose members include the BPIF, Unite the Union, Ryedale Group, Oxuniprint, BCQ Group, CDi, Multi Packaging Solutions, Westferry Printers, Page Bros, De La Rue and The Printing Charity, continued to press its case for an appropriate approach to the new Print Apprenticeship Standards, which would replace the existing Frameworks. A further call to the industry for views resulted in a strong response, all supporting the employer-led consortium’s approach. The Institute for Apprenticeship (IFA) had by now given initial feedback that it had listened after meeting with the Consortium’s Chair, James Buffoni and Vice Chair, Ian Wilton of Oxuniprint, and would support the ‘core plus options’ approach. A final call for feedback and support was issued in September 2017. The Print Trailblazer has now been approved by Government. The scheme has helped to clarify three main points: firstly a confident message about why contemporary print is attractive – showing young people that contemporary print is alive and kicking. Secondly, it clarifies the journey that fresh, young talent and employers can make to work together successfully in three specific print roles. Thirdly, the Trailblazer standard plugs that gap by identifying – in plain English – what skills, knowledge and behaviours that a young person would need to succeed in that role. This is a fantastic example of the industry coming together with passion and dedication, ending in an extremely positive result, however there is still work to be done!